Ross Sheil (past Gleaner writer) will be presenting a 2 day workshop entitled ‘Writing for the Web’ at CARIMAC/UWI Mona, June 23-24. It is intended to help anyone – from journalists to marketers – to write appealing content to gain traction online. 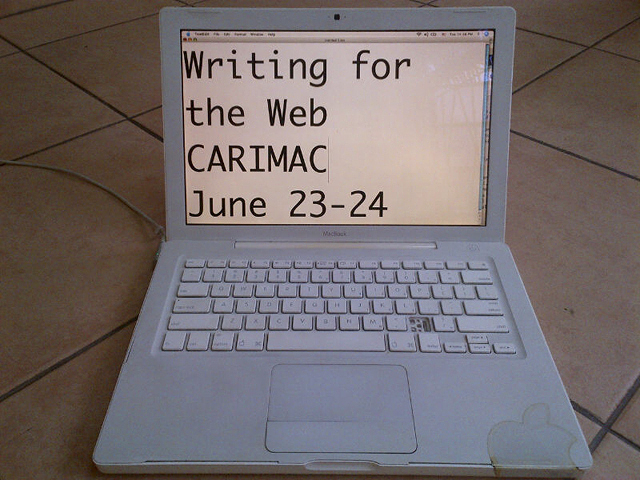 “This workshop seeks to equip participants with the tools to reach and interact with audiences online – via writing content for the web: whether for editorial, communication, marketing and/or commercial purposes. $25,000/person and $20,000/person group rate (min. 3 people). visit this website all thee time.